Ice Cap. Two Zones, many remixes. Thats right, as of right now more than 50 remixes of Ice Cap available online, recorded by a plethora of community artists. As TSS’s resident expert on sonic remixes, It’s my job to not only introduce the good, but also some of the bad and downright ugly mixes. Ive listened to this song A LOT. Im at the point where I’m confident to sing the majority of it in the car on the way to work even though I havent got every word down right. Interstingly enough, the vocals to this song, written by “Noodle the Innocent Child” were originally written for Eminem’s “MockingBird”. For those who havent heard the song, this is a 5-minute track covering issues facing the youth of today discussing the often greatly underestimated effect of social support. In terms of music, it is a simple slowed down remix of Ice Cap, which softly compltiments the rap. It is a remix of top quality, so much so I managed to trick my girlfriend into believing this track was fresh on the pop-charts! For those who like their club-style beats and are looking for a remix of a similar nature, look no further than this little beauty. One of the most clean and clear Ice Cap remixes you’ll hear, Aurium keeps the track down to earth, holding it true to its roots. Its nothing fancy, but the simplicity of it in all the right places makes for a remix you’d be proud to call your own. Essentially, a mish-mash of two well known tracks, Ice Dream compiles Ice Cap with the much “fanwhored” Dreams Of An Absolution, to create something which just shouts SPECIAL. The track opens up with an acoustic stumming of DoaA, followed by a synth pad and then three sets of piano. The two pianos play seperate parts of the DoaA, followed by the third one with a segment from ice cap. After a few loops and the introduction of sythetic drums, the song will have you entranced with its perfect proportions of retro and new gen. While Recapitated (The OCRemix Ice Cap Project) did some great things for the Ice Cap remix scene, these three tracks straight off it should be avoided at all costs. Shael‘s song exploits toilet humour, while Leis‘s remix sounds like somthing he put together within the time it took to read this article. 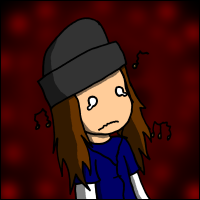 Liontamer‘s mix is that bad I would have trouble actually reviewing it, seeing as its not really a remix. For those that understand the underlying joke, you may want to check out Liontamer’s LIVE version of the track. This is my favourite 8-bit sounding Ice Cap remix, which can be found on the Recapitation Album. 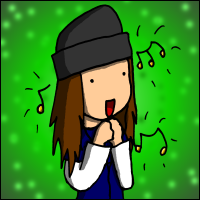 Although simple, it doesnt mimic the Ice Cap tune completely, and its quirks make it special. An “end of stage” jingle and a “pause button” sound at 0:48 just adds to the charm of an otherwise plain remix. The track finishes with a quicker pace and a darker tone – a nice touch which certainly conveys an air of a boss at the end of the stage. All in all, an excellent little package worth investigating especially for all you Master System and Game Gear fans. I couldnt review remixes without bringing you a mash-up so here is one for all the Lady Gaga fans. It seems to work surprisingly well, its just a shame the author was lazy towards the end and made Ice Cap loop too soon, mixing up the Ice Cap heard during each chorus. Sonic Remixes are incredibly hit-and-miss in my opinion when it comes to Ice Cap Zone, as I feel on the whole there is a lack of originality in most of what is offered, particularly which regards to the more generic dance remixes. For those of you inclined towards a heavy metal mix, I’d point you in the direction Brazil’s “Videogame metallers” Megadriver, the Metalhog album and the Ice Cap mix therein, but even I think this suffers a fate of being metal for the sake of metal. 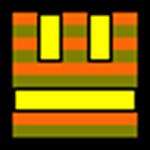 My choice track by far is by LightKeeper from Newgrounds, who manages to blend a great variety of percussion and triggered kick-drum along with some interesting tempo changes. I think what I most like about this track though is the bass line that deviates from the usual tedium of that of the original, yet still retains some elements of the scales. That combined with the range of synth instruments utilised creates a rich, atmospheric take on this rather overused track, that I think really does stand head and shoulders above most of the competition out there. The Cynic Project is a hugely respected remixer amongst many members of the Sonic fan community; his countless renditions of the Marble Zone theme and “remastered editions” of specially selected classic Sonic tunes are all of a truly high quality, and his remix of the famous and iconic Icecap Zone theme – entitled Fire and Ice – is also excellent: Right from its sublime synth bass intro, Fire and Ice is a sure-fire winner; its superbly innovative uses of melodic piano, tinny PSG and gentle woodwind make it an absolute joy to listen to, and the decidedly brilliant way that it blends all of these fabulous elements together gives off an utterly incredible and all-round stunning effect that completely eclipses any other remix of the Icecap theme ever to have existed. Hell, it’s even better than The Cynic Project’s alternative (and newer) remix of the same tune! Starting off slow and eventually escalating to an ultra-climatic concord of both electronic and natural instruments, Fire and Ice offers a pin-point perfect example of how the famous and celebrated Icecap theme should be re-created with modern technology; totally awesome on absolutely every conceivable level, the whole tune quite simply fails to disappoint in any way, shape or form. It’s the epitome of musical excellence – a perfect remix, and a perfect blend of the elements. I’ve never been a huge fan of the Ice Cap track; I understand the appeal and it’s a great melody, but it’s just so repetitive that once you’re only 40 seconds in you’ve pretty much heard all the song has to offer. So, I decided to seek out a fan remix that treads into some original ground to stray away from this dislike of mine, and I found a great one by Willrock. While most mixes keep the repetitive style of the original song with just a mixture of the underlying beat and the main melody (usually slowly building up to an exciting finale), this mix decides to take on the route of extending and building upon the original theme. All is normal until 1:10 where the mix slowly warps out of the original melody in a very cool way. Very occasionally the new melodies do stray a little from the Ice Cap vibe, but the tune itself is great throughout regardless. It also doesn’t have a particularly built-up finale, but thanks to the original material it doesn’t really need one. This is a more than solid remix that should please those looking for an extension to the original Ice Cap theme. What do YOU think? With so many Ice Cap remixes out there, which Ice Cap remixes really send a chill down your spine? Lets us know in the comments! Reminds me of Seaside Hill, so big ups on this one. Seaside Hill is my joint. P4KO, nice work on this remix and thanks for sending it our way, bronik. Once again, I am personally wowed at how fan remixes have been making the Sonic 4 songs catchy. I guess I just find the choice of instruments obnoxious in the official tracks, especially the synth. That’s just me, though, so what do you guys think about the music and these remixes? 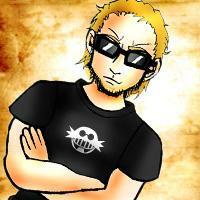 Now while I was in Tokyo I met an awesome bloke who goes by the name Jeriaska who is a correspondent for Gamasutra. As well as being heavily involved in a lot of video games reporting, Jeriaska is also in the midsts of organizing the next Game Music 4 All compilation. 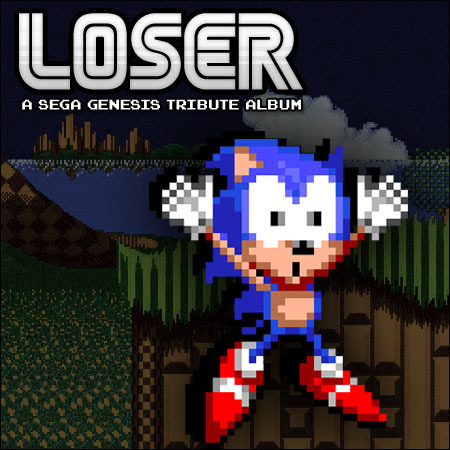 Most of you will probably be aware of some of the tracks that were on some of the previous compilations, particularly the “Loser: A SEGA Genesis tribute album” which includes the likes of the awesome “Sonic” track by The Adventures of Duane and BrandO, and the remixes by the prominent artist Spheres of Chaos. Well, the team at Game Music 4 All are looking for new tracks to add to their compilation! So, if there are any budding remix artists out there who want to get their mixes heard, or if you’re already big on the scene, then get over to the wordpress site and get your tracks submitted! Do also be sure to visit the site for some of the most up-to-date news on the remix scene across a whole plethora of music cover bands, video game remixers, concerts, reviews, interviews…basically if it’s remix-related, it’s there! If you’re about at PAX East this year, also keep your eyes open for Jeriaska’s presentation on the project! So come on UK remixers – lets get some representation this year!!! Oh yeah…and tell them T-Bird sent ya! 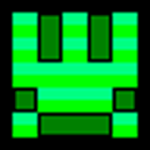 Game Music 4 All Website. When I first heard the “Hedgehog Day” jingle, I knew right away that it was going to be the title theme into “Project Needlemouse.” I also knew right away that something about it was off. It tried to be a catchy title theme, but it just didn’t sound right. There was an aesthetic to it that was off-putting. 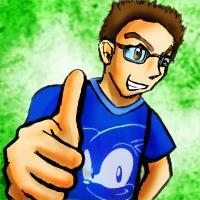 Tweaker, Sonic Retro admin and author of the Sonic Megamix ROM hack, agreed. Him and I were up pretty early this morning after some badass sleep. 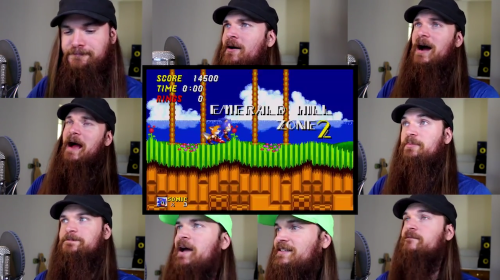 I decided to voice our opinions of the game in the “What’s In A Name” article (which had been flying around the #retro chat room since the announcement), while he decided to make the “Sonic 4” theme worthy of its title. 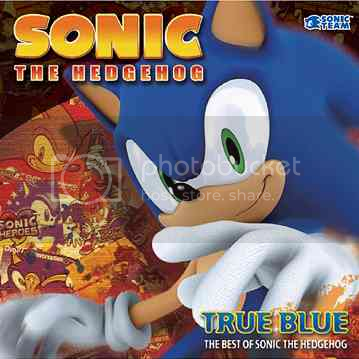 So, what happens when you combine the “Sonic 4” theme with the Japanese Sonic CD theme? Something that gets the melody stuck in my head, a key aspect that the official theme could not do. He let me put it on TSS to share with you guys. Like it? Hate it? Comment away. There’s absolutely no question that True Colors is a truly mixed bag; not only do the various tracks on the album spread across the different genres of music known to man (ranging from sublime electro licks to romantic jazz), but the quality of the songs also varies greatly throughout. 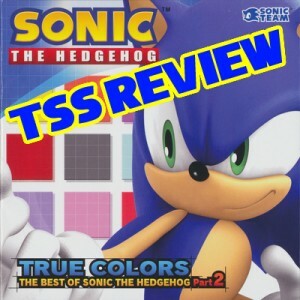 It would seem, then, that True Colors is arguably again another perfect album for any newcomer to the musical side of the Sonic franchise, as it has a hugely diverse tracklist and should be great for anybody who wants to have a taste of what the series’ soundtracks are like. However for every instance of brilliance there is a jarring example of sheer mediocrity, and the undesirably low number of decent pieces of music on this compilation is hugely disappointing. Right off the bat, the album starts to show its true colours (if you‘ll excuse the predictable pun); Cashell’s disgraceful rendition of “Un-Gravitify” is nothing less than the musical equivalent of a start-line burnout. It’s a predictable, messy and downright boring ruination of what could have been a perfectly decent track (as Crush 40‘s far superior version proves). Fortunately, this horrible abomination is followed up by “Dreams of an Absolution” – Bentley Jones’ exceptional vocal aptitude is completely unparalleled by anything else on the album (including Johnny Gioeli‘s mind-blowing performance on the final track; more on that later), and the incredible combination of guitars, synthesisers and harmonies is simply spectacular. Although the SA1 version of “Believe in Myself” was awesome piece of prime bubblegum rock, this newer edition is riddled with massive flaws and huge imperfections; this does NOT belong on a “best-of” compilation. I’ll also be blunt with “Unknown From M.E”; a truly irritating piece of crap rap claptrap, and is by far worst track on the entire album. It provides nothing but blatantly awful tedium for the entirety of its lacklustre duration, and has absolutely no redeeming qualities whatsoever. It’s messy, monotonous and purely diabolical tripe that should never have been allowed to exist in the first place, let alone put on a commercial release. Luckily, this disgraceful chain of purely awful songs is smashed to pieces by the utterly fantastic electro masterpiece, “Theme of E-102 Gamma”. Mixing upbeat techno and surprisingly calm piano, this track is undoubtedly one of the greatest pieces of instrumental synthesised music ever to have been written. Though it’s usurped by DoaA and eclipsed by the “Open Your Heart K-Club Remix”, it remains one of the best pieces of music on the compilation. “Look-a-like” is also exceptionally good – its wholesome and hearty pop-like feel only serves to maximise the listening pleasure that surrounds it, and its senseless yet extraordinarily catchy vocals will get lodged in your head. However this version is an edited version, and this is utterly unacceptable as it sacrifices the guitar solo. The “Sonic 3 MegaD Mix” is essentially an updated version of the menu screen theme from (yup, you guessed it) Sonic the Hedgehog 3. Its funky tropical beats are simply guaranteed to make even the least agile listeners amongst you jump up and dance, and its catchy synthesised samples from the original tune will have the more aged of the listening demographic grinning like children as fond memories of the decidedly superb game flood back. All in all, it’s a wonderful track, filled to the brim with SEGA’s trademark musical brilliance; a big well-done to the composers! Two previously unreleased tracks include “Lazy Days ~ Livin’ in Paradise demo version”, and a “Hybrid Mix” of All Hail Shadow (C40 backing with Magna-Fi’s vocals). Both are fairly good pieces of music, although the originals would definitely have been far more well-received on the album. From the mesmerising piano intro of “Dreams of an Absolution (Starry Night Remix)”, I just knew that it was going to be a true winner. This upbeat, fluent masterwork from Bentley Jones and co. provides nothing but pure, unadulterated bliss, outshining the original version by a long shot. This new mix is a pinpoint-perfect example of how it should be done. The album’s climactic finish is certainly that; with a mind-blowing remix of revered Crush 40 song, “Open Your Heart”. Mark my words: this track is truly a magnum opus of undeniably epic proportions; a consistent and pure piece of electro-rock excellence, this is the pinnacle of the album, exceeding even the magnificence of the previous track. Jun Senoue and his band of musical misfits have clearly saved the best ‘till last. Thumbs Up! : Open Your Heart (again? Jeez…). Thumbs Down: *Hocks and spits* Unknown From M.E. Thumbs Up! : Fantastic variety of tracks. The new stuff ranges from “nice” to “awesome”. Thumbs Down! : One too many Shadow-related tracks. New content may disappoint some. Thumbs Up: The track selection for the rest of the disc was fairly spot on. Thumbs Down: Ohtani’s ‘Starry Night” remix did not impress at all. Thumbs Up! 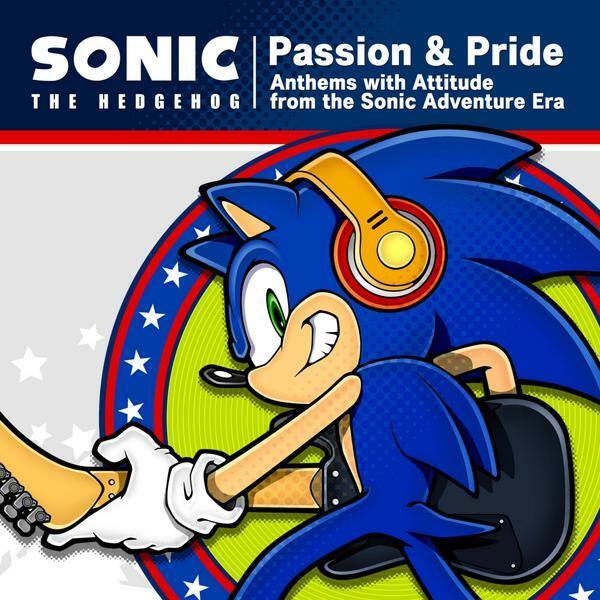 : A thoughtful selection of non-Sonic character themes from through the ages. Thumbs Down! : You’ve probably got most the tracks already. A “truly colourful” collection of new and old tracks. Yet, this is another album on which re-released tracks feature predominantly, with the mixed bag of six new songs splitting opinion. True Colors is still available for purchase from the Jun Senoue Official Store, as well as play-asia, and CD-Japan. Are we totally off the mark again? Or… do you agree with us? Let us know in the comments! Some of you in the peanut gallery may snicker (pun) derisively when the judges get out their metaphorical – and in some cases, actual – stopwatches and break a ReMix down to ensure it’s more arrangement than not. I don’t see the issue. I hear Hidden Palace’s melody for a good minute. I can’t understand why this song was on the judges’ panel so long. Aside from the hiccup at the judges panel, this piano piece is beautiful. It’s an emotional, thoughtful, and mellow arrangement of a tune that we’ve all come to know and love. The latest hotness from OCRemix is “Mystic Chemicals,” a real “live” piece who’s sound calls back to the early days of bands like Led Zepplin. The drums are heavy and loose (sometimes too loose) as the guitar wails away on that familiar Mystic riff. Chemical Plant gets worked in midway through the song for a rockin’ good time. XMark did a great job in capturing the feel and sound of 60s/70s rock. Awesome. I look forward to more Sonic remixes from AfriqueDeluxe. Remix Factory, the producers of the E.G.G.M.A.N. and Boss remixes in Shadow the Hedgehog, are to release an exclusive remix of Crush 40’s ‘Open Your Heart’ for Sonic’s 15th Anniversary. Jun Senoue and LB have been working together for the last month or two on some collaborations, and ‘K-Klub vs Crush 40’ appears to be only one of these projects surfacing. The remix will be promoted during the Summer, as Sonic turns 15. The Sonic 2 Remix Project recently released their Sonic the Hedgehog 2 remix album, “Hedgehog Heaven”. The group, made up of members of remix site Overclocked ReMix, worked on the album for over a year and a half. The final album comprises 21 tracks from 18 artists coming to just over 75 minutes. It contains remixes of every piece of music in Sonic 2. The album is available to download for free in MP3 format from the Sonic 2 Remix Project site, but they ask that you use BitTorrent instead to save OCReMix’s bandwidth.